A Russian investment company is to put millions of dollars into US-based Planetary Resources, a company which has been set up to mine asteroids. ­12BF Global Ventures deals primarily with alternative energy, and the investment in Planetary Resources has been confirmed by Managing Partner Ilya Golubovich , says Vedomosti newspaper. The exact sum invested in the project, has not been disclosed due to confidentiality. However the total investment will be carried out in several stages. “We are not talking about dozens of millions of dollars here but we do plan to take part in other rounds”, Golubovich told Vedomodti newspaper. Golubovich said, however, that 12BFGlabal Ventures plans to invest a total of $50 million into the space industry. Among other Planetary Resources investors are Google billionaire Larry Page and Avatar film director James Cameron. The company also includes Microsoft’s former Chief Software Architect Dr. Charles Simonyi and Perot Group Chairman Ross Perot Jr. among its backers. The new venture plans to send robots into space to scout asteroids for precious metals and set up mines to bring the resources back to Earth. 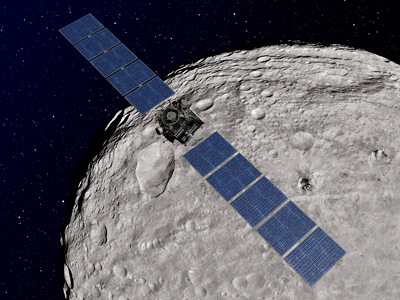 By 2015 the company intends to send several probes to asteroids. Its know-how will be used to harvest gold, platinum, rare earth metals, water and fuel in space. According to scientific research about 9000 asteroids larger than 150 feet in diameter orbit near the Earth. These could contain platinum worth several billions of dollars each. An asteroid of that size could easily pay off the project’s start up, the company founders believe. 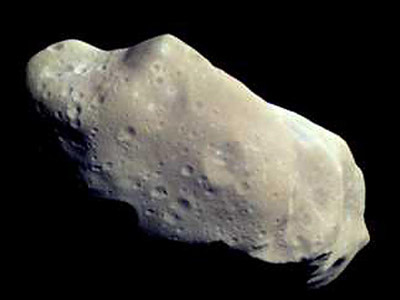 And those asteroids that contain water or ice could become bases for further space exploration. Planetary resources also believe that access to water will make space flights cheaper and even shorten flight time as the icy asteroids could be turned into a base for hydrogen fuel production. Such fuel could make interplanetary flights a lot faster. Planetary Resources was founded in 2010 and is primarily focused on the development of small space telescopes to observe asteroids. The company is also engaged in developing and deploying satellite webs for both private and government clients.